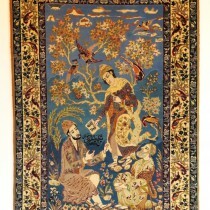 Woven on a silk foundation, this is an exceptional rug. 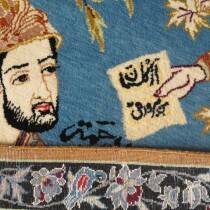 The wool is the finest Kurk wool and the workmanship is superb. 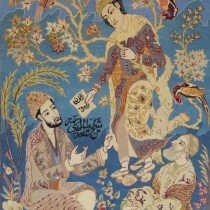 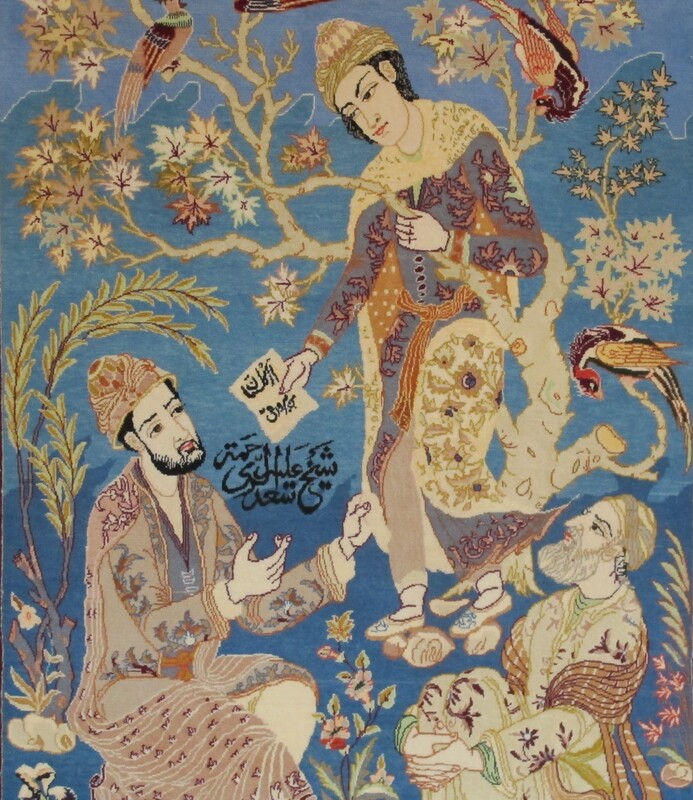 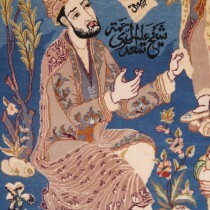 It has the workshop signature (Mahdi Dar Dashti) and it depicts a scene from the poems of Sa'adi, a contemporary of Hafez. 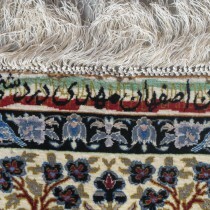 This is a very jewel-like rug.